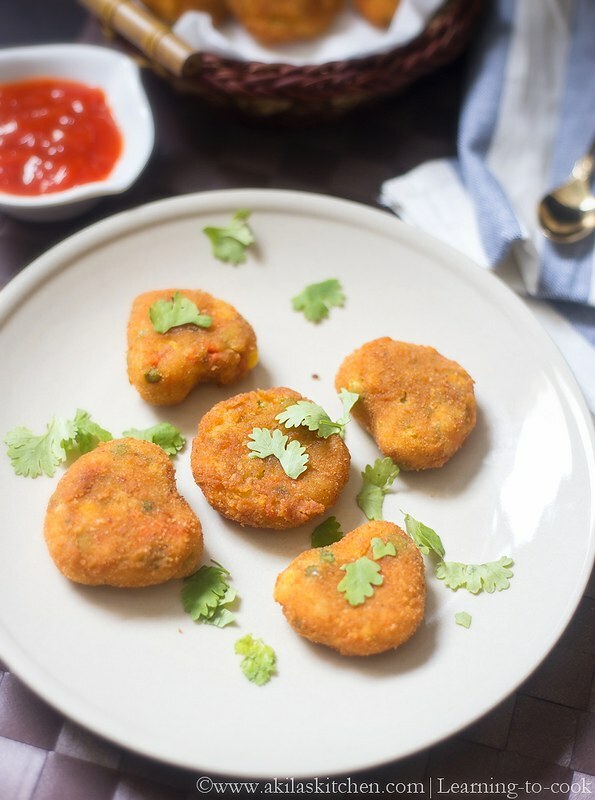 Vegetable Cutlet is our family favorite dish and I used to prepare it mostly on saturday evenings when my sons friends come home and play in our house, and munching this yummy and healthy snack with tomato sauce. 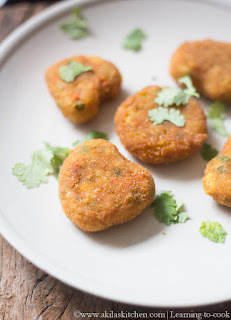 Alternatively I also do the Prawn cutlets or the soya chunks cutlet. Also Sometimes I shallow fry and sometimes I deep fry the veg cutlets. 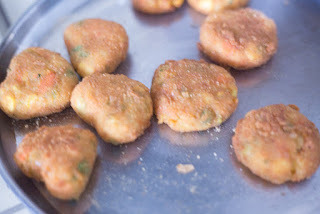 My kids n his friends like the deep fried vegetable cutlets more. 1. Pressure Cook the potato for 2 whistles and other veggies for 1 whistle. ( This time I used frozen veggies and one whistle is enough. For fresh veggies use 3 whistles). Drain the water completely. 2. Add the veggies and the potato and smash them nicely. To this add the chilli powder, coriander powder, cumin powder, garam masala, green chillies, turmeric powder, salt and mix them well. 3. Grind bread slices to powder firm and add to the smashed veggies. Add the coriander leaves too. 4. Mix them nicely. Take a little portion of them and make into desired shapes, I normally used to make in round and heart shaped. Keep them aside. 5. Mix the corn flour and all purpose flour to form a paste and keep it ready in a bowl. Also keep ready the breadth crumps. 6. Now take one piece of cutlet and dip in the APF paste and immediately toll on the bread crumps, so that they are fully coated with bread crumps. 7. Let them rest for 5 min. Meanwhile start heating up the oil and once hot drop the cutlet one by one and deep fry them until they turn light brown color on all sides. Do not overburn it. 8. 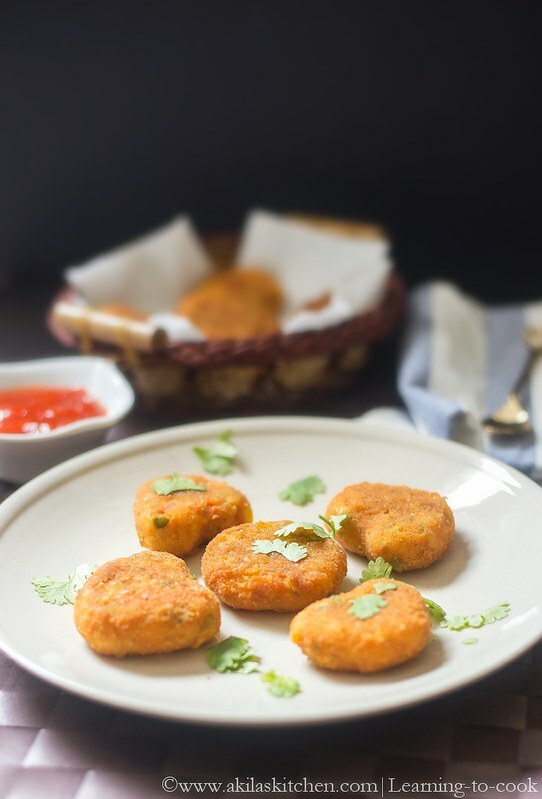 Filter out the oil and serve the vegetable cutlets with tomato sauce. 1. Instead of all purpose flour mixture, you can use egg as binding agent. 2. 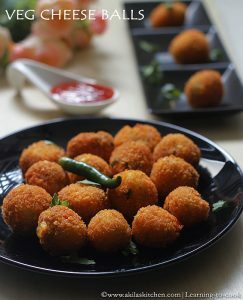 You can also shallow fry the cutlets, but as my kids want deep fried, I did the deep fried version here. 3. You can add any veggies. Adding beetroot gives nice colour to your cutlets. perfect and delicious cutlets …looks yummy!! !